Intel launched its first Compute Cards a little over two years ago, at CES 2017. The idea was to bring computer power, connectivity, and upgradability "to virtually any product, anywhere," via the slim modular design. This pluggable 95 x 55 x 5mm device (standard credit card is 85 x 55mm) contained an Intel SoC, memory, storage, and Wi-Fi / Bluetooth connectivity, with flexible I/O options available. The cards were designed to be interchangeable for super-quick upgrades to the laptops, desktops, or other compatible devices. "We continue to believe modular computing is a market where there are many opportunities for innovation. However, as we look at the best way to address this opportunity, we've made the decision that we will not develop new Compute Card products moving forward. We will continue to sell and support the current Compute Card products through 2019 to ensure our customers receive the support they need with their current solutions, and we are thankful for their partnership on this change." There weren't that many Intel Compute Card adoptees, or at least not enough to secure further generations of the product. NexDock was probably the best known system maker that based its designs around Intel's modular card computers. 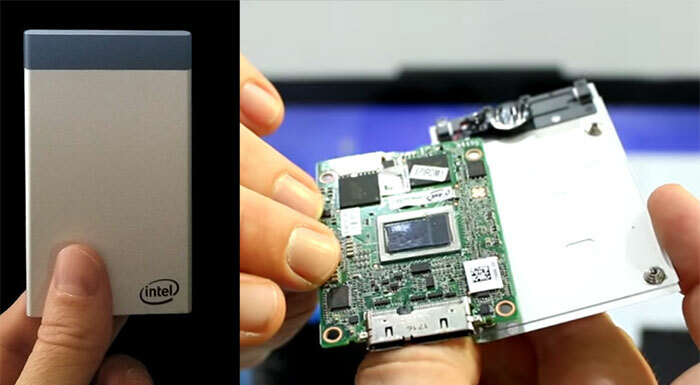 In January 2017, at the CES event it showed off its docking units that would be powered by Intel Compute Cards. Unfortunately, later that year, NexDock found out the true cost of manufacturing its prototype was double the originally quoted price from a "reputable ODM in Taiwan". 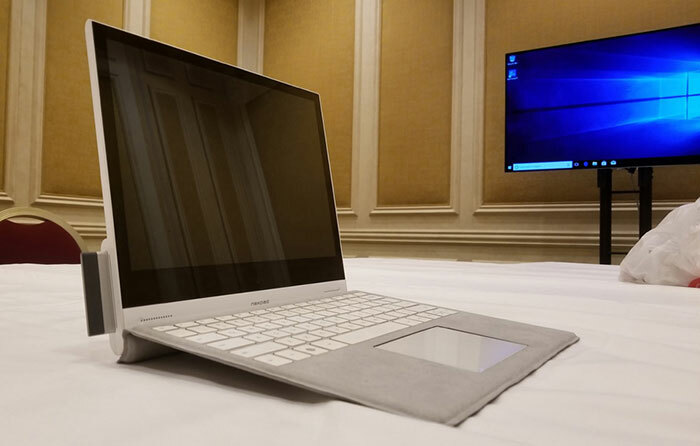 For CES 2018, NexDock found an Intel-approved ODM in China to manufacture the 'NexPad' (pictured above). A complex implementation process meant that NexDock had to go back to Intel in August 2018 to help implement the encryption and authentication requirements of Intel Compute Card. Then NexDock took seven further months to develop the software to make the Compute Card work with NexPad PCBA "and finally it’s almost ready". After the two years of work and investment NexDock has now put the NexPad product development on hold due to Intel's abandonment of the form factor. However, the firm still has hopes to materialise its vision of upgradable portable computing with the NexDock 2. NexDock 2 is "ready for mass manufacturing and has been upgraded in every way compared to the first generation NexDock". The project can be backed on Kickstarter with prices starting at $179 (the estimated retail price will be around $279). Instead of using a modular compute component the NexDock 2 will use USB-C input to support smartphones with 'desktop mode' features, such as Samsung DeX or Huawei Easy Projection. Alternatively, you can plug in most HDMI stick micro computers, or the likes of the Raspberry Pi. The Kickstarter project has 26 days to go, had a $50,000 goal, and has already passed $140,000 in pledges. I think this was a brilliant idea, pity this has failed… The key problem INTEL was facing is that one needs to build an entire eco-system and grow a large number of users to achieve critical mass (programs, etc) - this is not easy. Perhaps if the Card supported deep-learning that would attract many users….